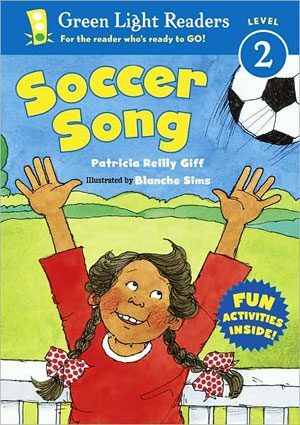 A lively soccer story by the award-winning Patricia Reilly Giff. 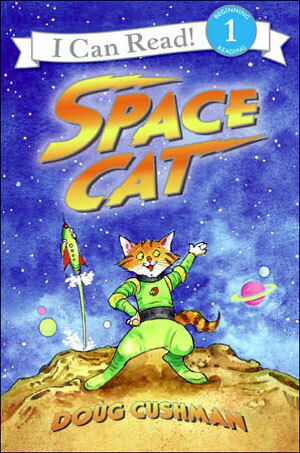 Space Cat and his trusty robot, Earl, are forced to land their rocket on a strange planet. Space Cat has to find more fuel to get home. Will he ever blast off again? Dump Truck Day by Cari Meister, leveled books E-F A beginning graphic novel for those young readers who love trucks and construction vehicles. Simple, colorful illustrations help convey the story, which is full of noisy words. 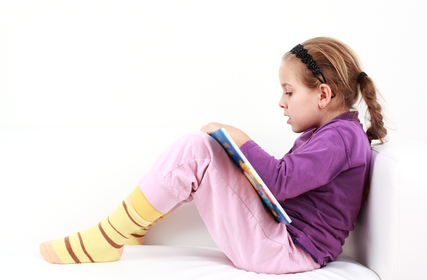 The book opens with a short explanation of how to read a graphic novel. 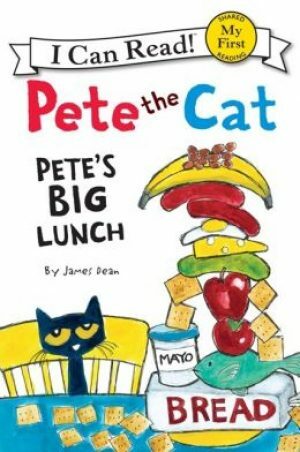 It's lunch time and Pete the Cat is hungry. He makes a sandwich, and adds more and more ingredients to his sandwich until the sandwich is way too huge for him to eat. So he calls on his friends to join him for lunch. 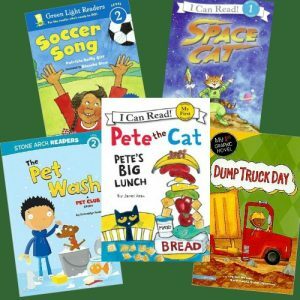 Great for learning sequence and building vocabulary. Besides that, Pete is one deliciously funny cat. Kids will find him delightful. 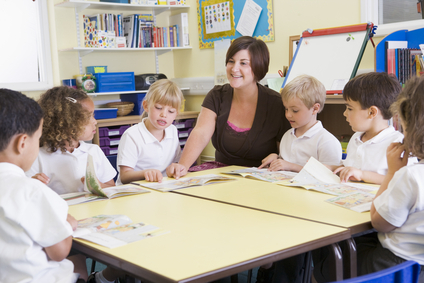 ELA-Literacy.RL.1.7: Use illustrations and details in a story to describe its characters, setting or events. ELA-Literacy.RF.1.3.A: Know the spelling-sound correspondences for common consonant digraphs. Jake wants to buy a present for his teacher, but he doesn't have enough money. 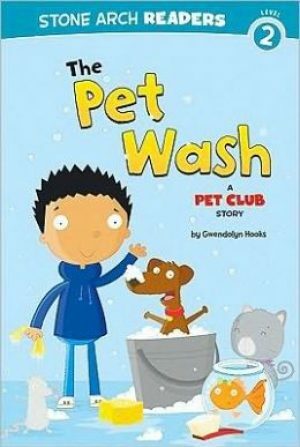 Jake gets the Pet Club together to earn some money by bathing pets. 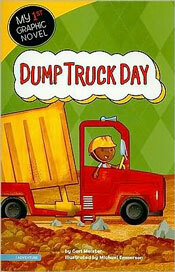 Will they raise enough to get something special for Mr. Carter?